Happy Women’s History Month! During this time, we celebrate and focus on the leaders on whose shoulders we stand, and on the victories for equity and inclusion we are winning every day. We focus our collective energies on how to bring about transformative change that impacts all of our lived realities and outcomes. We celebrate the privilege and the power of being a woman—a black woman, a Latina, an Asian woman, a white woman, a lesbian woman, and/or a trans or cis gender woman. One month into my role as CEO, I am more excited than ever about the future. In every part of once male-dominated spaces—corporate America, Congress, city government—we are seeing, in real time, the takeover. Women are tenaciously pushing forward to ensure equity, fair treatment, equal pay and access, and respect for the work we do. We are using our own voices to share our experiences, and fight for our needs. The International Women’s Day theme this year is #BalanceForBetter. The call to action is to build a gender-balanced world, which is essential for economies and communities to thrive. At Women Employed, we have doubled-down on this theme and we won’t stop advocating for change until every woman—from those who make the tips to those who make the laws—is given her due. I look forward to leading and advocating for a unified movement that represents the interests of all women. I look forward to celebrating my power and the privilege of being a woman. March 8 was International Women’s Day, and it was also the day that City Clerk Anna Valencia announced a “Pink New Deal”—a set of 20 recommendations to make Chicago a safer and more equitable city for women and girls. In a press conference, the City Clerk celebrated the release of those recommendations, developed by her Status of Women and Girls Working Group—a partnership of more than 120 women from across the city, representing a variety of industries and backgrounds, who met over the course of five months. 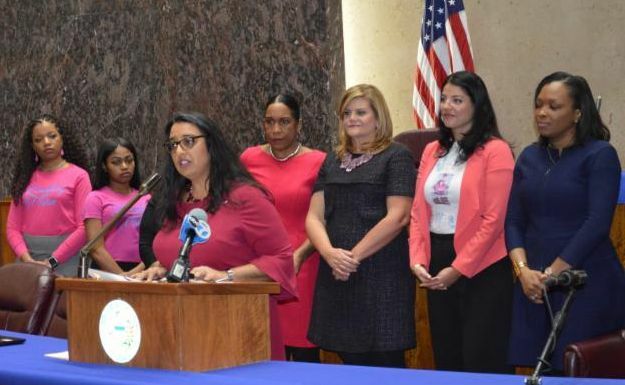 One of the top four recommendations highlighted in the “Pink New Deal” is to support a fair and predictable scheduling ordinance, a policy that Women Employed has been championing along with our partners. Click here to sign the Fair Workweek Chicago petition to help make that a reality. The world has never been so ready to see just how far women can go. And we are here for it. Join us, May 9 th, for an energizing conversation with influential leaders about manifesting and celebrating the Power of Women from the boardroom to the ballot and beyond. 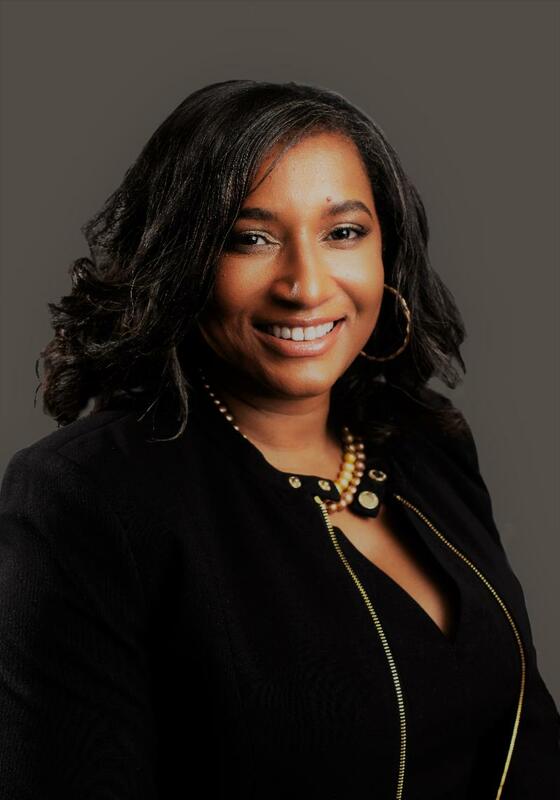 This year’s conversation will feature Fatima Goss Graves, President and CEO of the National Women's Law Center (NWLC), and Chicago's City Clerk Anna Valencia, and will be moderated by Heidi Stevens, columnist for the Chicago Tribune. Guests will also have a chance to meet WE’s new CEO, Cherita Ellens. We look forward to celebrating and reflecting on our history, and previewing our new look as well. Hope to see you there! The Working Lunch tickets are on sale now! Click here to purchase or text WELUNCH to 71777! We look forward to having you! 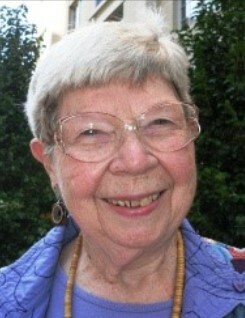 Women Employed is deeply saddened by the passing of our longtime supporter, Nancy Davis Anderson. Nancy played a vital role in our mission to move equality forward and will continue to do so with the legacy gift she leaves behind for Women Employed. Although she was raised at a time when many women weren’t encouraged to attend college, Nancy was deeply influenced by her mother’s insistence that education was important. She received her undergraduate degree from Radcliffe College through a program Harvard University had at Radcliffe to determine if ‘women could take the pressure’ of an advanced education. Nancy not only proved that women could take the pressure, she excelled and graduated. She then went on to get a law degree from John Marshall Law School while she was working full time at an investment firm. Upon getting her JD, Nancy was the first female attorney to be hired by Chicago Title and Trust. She was told they were ‘taking a risk’ by hiring a woman. Nancy went on to have a great career at Chicago Title and Trust, rising to the position of Vice President and Trust Council of the Trust Department. In addition to her devotion to her work, Nancy loved the fine arts and traveled extensively. Her education and career led her to enjoy a life well-lived. Nancy gave back by supporting Women Employed for over 20 years and included Women Employed as a beneficiary of her IRA. Through her six-figure legacy gift to Women Employed, Nancy has paid it forward, assuring that other women can advance and succeed and we are forever grateful for her contribution. If you would like to learn more about legacy gifts please contact Linda Ballard at lballard@womenemployed.org. Last month in his budget address, Chicago’s newly elected Governor, JB Pritzker, pledged a $50 million increase in funding for the Monetary Award Program (MAP), which provides tuition assistance to low-income students. We applaud this move, which will help low-income students pursue their higher education dreams and lessen their financial aid worry. It is our hope that by the close of Pritzker’s term that the MAP grant will be fully funded so that every student who is eligible will receive MAP assistance. 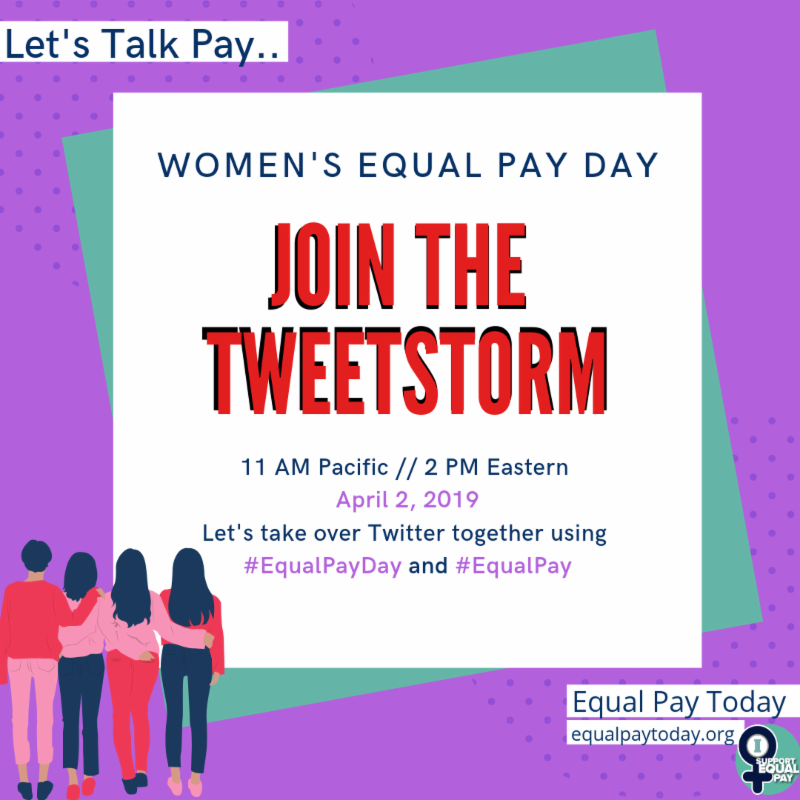 April 2 nd is Equal Pay Day and we are joining our national partners to spread awareness on Twitter about the wage gap and the toll it takes on women and families! 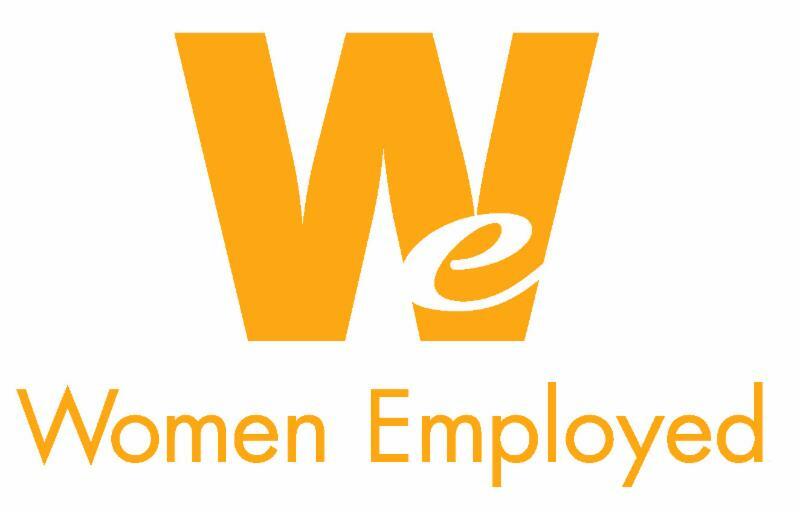 If you live in Chicago, meet us at Daley Plaza on March 28th at noon, for an Equal Pay Day event featuring WE's Cherita Ellens. "Do Diversity and Inclusion Have to Be Overwhelming? " "Chicago’s election signals break from the past — in wards and at City Hall"
"Clipped Wings: Closing the Wealth Gap for Millennial Women"
"How Female Executives Can Pave The Way For Workplace Equality"
"American mothers have it the worst, and it's not their fault—here's why"
"Mothers Are Drowning in Stress"